Remember last week when I couldn't remember what song I had in mind to play? Well, thanks to Pandora being on shuffle, the exact song I wanted to play last week started playing and I had my "That's what it was!" moment. This song came out my freshman year of college. My sorority sisters used to change the words from "Ain't nobody dope as me, I dress so fresh, so clean. So fresh & so clean clean" to "Ain't nobody dope as we, we dress so pink, so green. So pink & so green green". Shout out to all the ΔZ readers out there! 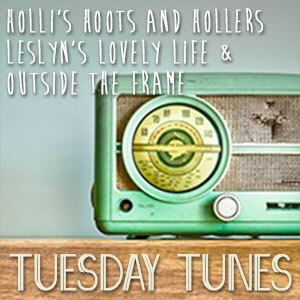 I'm linked up at Leslyn's Lovely Life today for Tuesday's Tunes! Join us & share your song of the day!